SAN MARCOS-McGarrah Jessee account supervisor Lucas Lane came to Texas State’s Mass Comm Week Tuesday to discuss his experiences in advertising and working with companies such as YETI. Lane has been an account supervisor for McGarrah Jessee for 10 years and described his company as a branding firm rather than an ad agency. Lane has worked with companies such as Whataburger, YETI, Frost and Costa, overseeing digital, print, photography and video work. Lane described a brand as a way for customers to interact with a company. 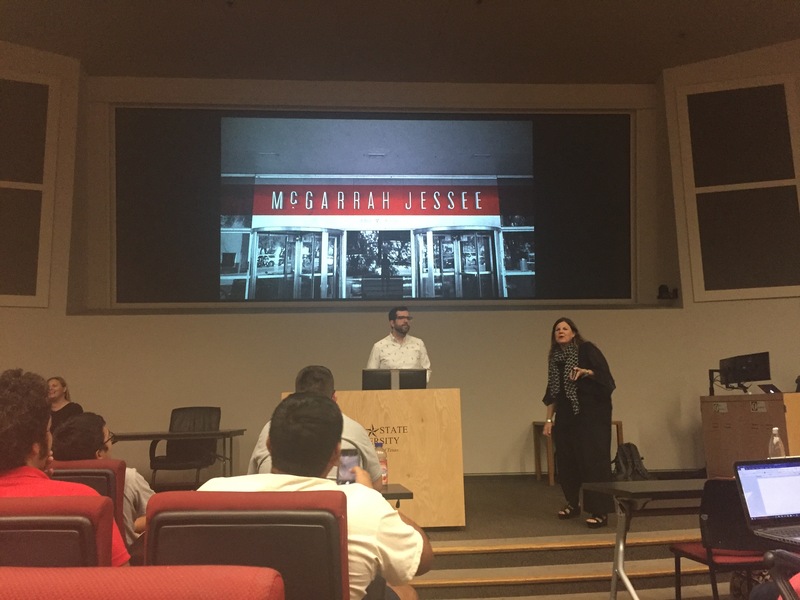 Lane told students that McGarrah Jessee works to go deep and as far as possible to display a brand. Creating new ways to reach customers includes billboards, books, packaging, and product design like the iconic Whataburger table tent. Lane is also responsible for leading the planning for YETI’s first flagship retail store design in Austin. Lane said the store gives customers an opportunity to experience the brand. Students like advertising major Matt Green enjoyed the information they took away about an ever-changing market that requires advertisers to find new ways to evolve and resonate with customers. Lane explained to students it is important to have more than just a good product to be able to be unique. Lane used his experience working for YETI as an example of how to stand out from similar companies and product. 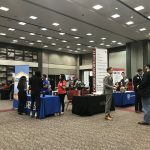 Advertising professor Clay Craig said it is important for students to experience Mass Comm Week and to hear what professionals like Lane have to say about the industry.